Twitter is therefore playing the « information network » card to create a new offer for its potential clients. After declaring that it would finally be bringing photo and video sharing to its service by the beginning of June, Twitter’s major product win to-date came on the 6th of July, when Apple announced that its running software, the iOS 5 would contain a muscular Twitter integration. The following means that the 200 million iPhone, iPad and iPod users would be able to get access to Twitter and share their picture and videos with a simple click. In summary, Twitter is shaping itself as the default layer of the Apple’s operating system. A layer that would allow the users to transform their casual daily actions — taking a photo, reading an article or recording a video — into instant social activities. 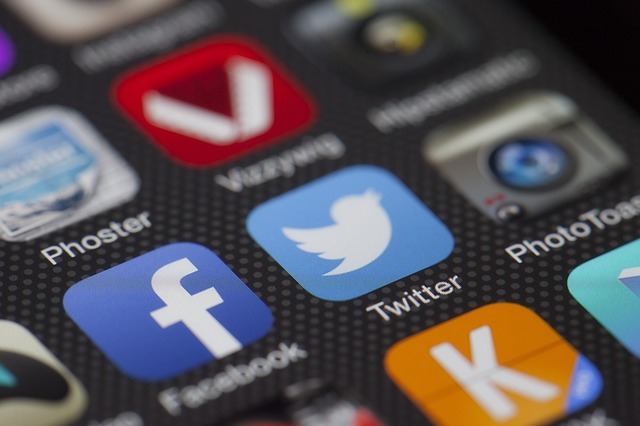 However, application developers can still integrate Facebook into their iOS apps, but by making Twitter the default in apps like Camera, Safari and YouTube, Apple has stated where millions of pieces of content will invariably flow. Meanwhile, by creating this social interface that includes photos and videos, Twitter would be able to increase the time users spend on the website. This would allow the firm to move people over to its own Web and create a real client experience, a playground on which Facebook based its model in order to reach the top: Commitment. In 2010, the average Facebook user spends a remarkable four hours and 35 minutes per month on the site, more than any other property on the Web, and more than double the average Twitter user’s monthly two hours and 12 minutes. This is mainly due to the different services and visiting purposes that each site offers. But now that Twitter is turning itself into a social network, the situation could drastically change. Instead of creating and consuming photos and videos on third-party sites — something that’s already popular on Twitter — users will be doing it on Twitter.com. We add to that the fact that Twitter now owns the most popular third-party client — TweetDeck that was bought on May 25th 2011 for 30 million € — and has been systematically eating away at the ecosystem it enabled. The iOS war is not over yet as Facebook could go for a deal with Apple before the 5th operating system version comes out this fall, but it’s unclear what kind of relationship those companies may have following last year’s controversial split over Ping. For the moment, Twitter’s iOS win is a symbolic success over Facebook that hints the company’s growing ambitions as a social network. A victory that may open the door to turn Twitter from Facebook’s little cousin to its fierce competitor.